CALL OR EMAIL FOR MULTI-DAY RATES! Click here to see all our Quasar products. 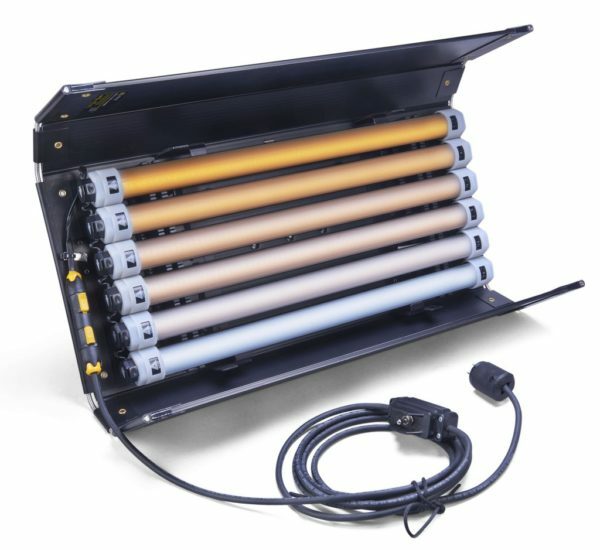 The combination of Kino Flo’s tried-and-tested lamp mounting systems with Quasar’s Q-LED Linear Lamps were simply meant to be. No more lugging around ballasts or swapping lamps from daylight to tungsten. We have breathed new life into a classic to make your on-set production life both easier and brighter. Each bulb is individually switchable from daylight to tungsten and compatible with LED dimmers.